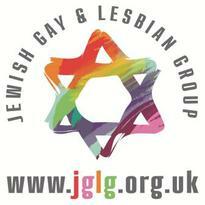 The Jewish Gay and Lesbian Group, JGLG, was founded in 1972 when a small advert in Gay News attracted the astonishing total of 190 people to a public meeting called to set up the new organisation. Since then the Group has gone from strength to strength and we celebrated our 40th Anniversary in 2012. We are the longest established Jewish LGBT group in the world. Our membership is open to Jewish men and women who are lesbian, gay, bisexual or transgender including people from many different backgrounds. We welcome non-Jewish partners to all events and non-LGBT & non-Jewish guests to certain events, and although the group is based in London we have many members living across the country. We are primarily a social rather than religious group, and most of our religious events tend to follow Progressive/Reform traditions. Recently we have attracted many new orthodox members and we are ensuring that JGLG offers events that are suitable for all members, as much as possible. We have even started hosting occasional kosher Friday night meals in members’ homes to which all members are invited. These events have added a new dimension to our group and fit into our calendar, alongside our long running tradition of monthly Friday night services held along Progressive/Reform lines. We are affiliated to the World Congress of Gay, Lesbian, Bisexual and Transgender Jews and work collaboratively with other organisations to ensure a breadth of opportunities for the Jewish LGBT community. Why a Jewish Gay and Lesbian Group? Because Jews and LGBT are minority groups it is important that there is space for us to come together to celebrate. Why is the group so successful? Probably because we offer a relaxed and supportive environment for all ages, where the Jewish LGBT community has the opportunity to meet and socialise with likeminded people. It can be reassuring to meet people with similar shared experiences. 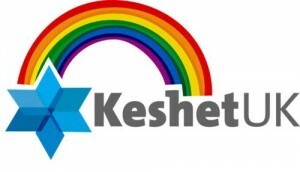 Keshet UK is the forum working to champion the inclusion of lesbian, gay, bisexual, transgender, queer, intersex and questioning people in all areas of Jewish life in the United Kingdom. As a social action organisation founded in 2011, its mission is to advocate for change on behalf of lesbian, gay, bisexual and trans (LGBT) Jews in Great Britain. We work with the British Jewish community and LGBT community to create a more inclusive Jewish community and to provide advice and support to organisations seeking to improve the way they work with LGBT Jews. The organisation was started by individuals who came together around a common commitment to working for change in the community. All our successes so far have been achieved by volunteers, both LGBT Jews and allies. We are mostly based within London, but not exclusively so. The organisation has established itself formally with a constitution through which we hope to sustain sound governance. Our priorities include working with schools, synagogues and other community organisations. We hope that our work will broaden LGBT Jewish inclusion, incubate new projects as we plan for the future needs of the LGBT Jewish community.